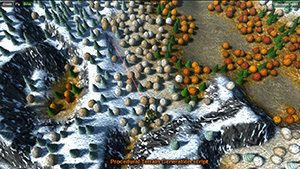 * Procedural Terrain Creation – Infinite variations, fully controllable. * Dynamic Terrain Shader – Make modifications, no need to repaint. * Custom Tree Placement – And not limited to trees. Color tinting for extra variation. * Vehicles – Tank to drive around, Helicopter to fly around. Fully physics-driven. * Turret – aim with the mouse, left mouse button to fire. * Optional TNet-based Multiplayer. Choose a vehicle then blow up your friends! Aren, WHY do you keep taunting me with all this new awesome stuff?! I'm just digging into TNET, and then the TNET NGUI kit, and now this! Heck, you're practically programming the entire back end of my dream-game here! I should just sit back and wait till you make the entire thing! Another kit of yours that I'll be purchasing this weekend! Keep up the great work, and now I know what you've been doing since your latest release! Well, technically I've been busy with uGUI for the past while. But I did get ~5 days over the course of the last few weeks to put this kit together though! 5 days... It only took you 5 days to put the MPGSK together?! You rock, Aren! I keep checking the Asset Store for it, and they're not nearly fast enough getting it online! What's the price going to be? I'll be adding it to my "Aren Mook" collection of Unity modules this weekend, and playing with creating terrains and blowing stuff up with my collection of models! In MULTIPLAYER! And can't wait to see how you set up those models so I can duplicate with my characters - the smoothing of movement across network is really going to be nice for everyone using TNET! Well, keep in mind a lot of the content was done for some other project in the past. 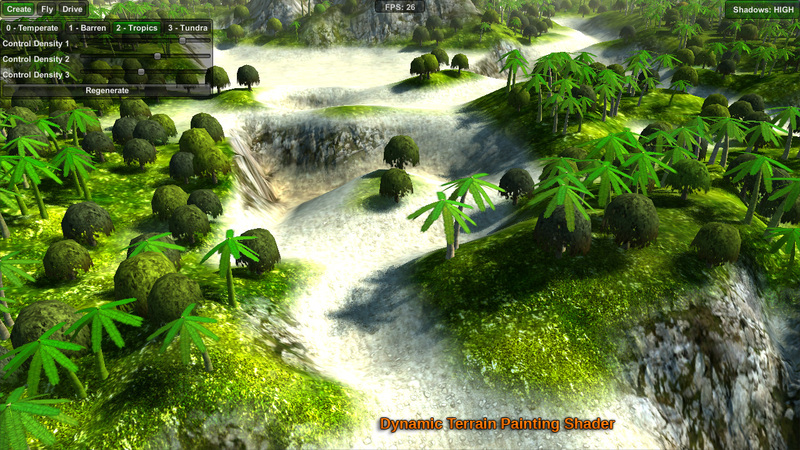 Terrain was done for Windward for example. 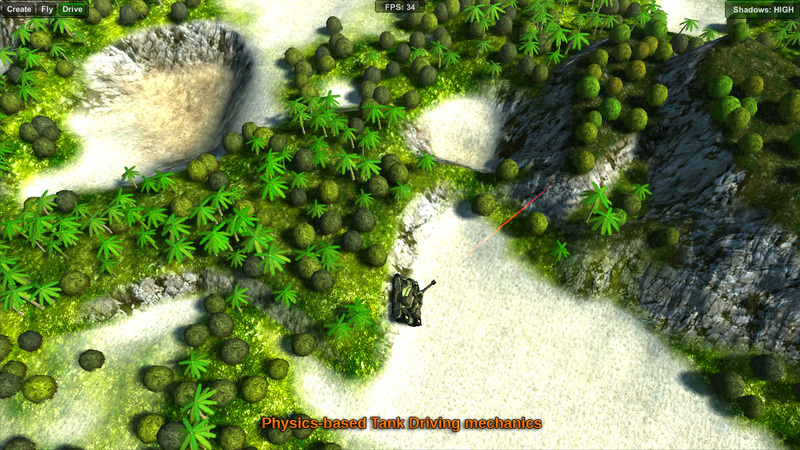 Tank driving mechanics were done for Battle Treads. I just had to create helicopter flying mechanics, separate input out so that it's usable, create different interesting looking biomes as a starting point for you guys, clean up the meshes and redo their textures, redesign the shooting mechanics and explosions, add dust particle effects underneath the helicopter and behind the tank, and finally -- add multiplayer. Addition of multiplayer only took about 2 hours. The creation of documentation (the PDF) took around 6. This kit matches the price of the Space Game Starter Kit -- $65. It's certainly more advanced than SGSK, but I chose to keep the same price. Asset Store approval process seems to take about 4 business days right now, so it should show up on Friday. Just interested in how you're handling the networking for this one, is it the same as the TNET examples or are you going the interpolation route? I have written my own script that does, but with how clean your code is I'm just waiting on a package that contains it to add to my collection. Same as TNet examples -- renderers smoothly follow the rigidbody. Purchased, and AWESOME!!! Loving it! 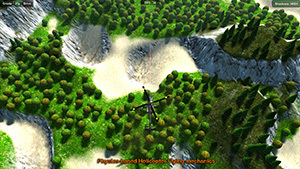 Playing with the TNET version right now and in process of cconverting one of my models using the helicopter prefab... Already have it instantiating in the example scene! Going to mod it a bit with elevation control, and a different camera/aiming system (sort of "behind the shoulder FPS mode"). This is going to ROCK! And the way I see it, it should be VERY easy to use these prefabs to add my "foot soldiers"! Too cool!!! Question: If I were to import the NGUI and Starlink (TNET/NGUI) kits, and use the Starlink menu as first scene in build, are there any "gotchas" I should watch out for? For example: I know NGUI uses layer 8 and 9 (if memory serves me, when setting up layers in Starlink GUI), and MPGSK also uses layers 8 and 9... Hoping this doesn't cause conflict? This is going to be a fun weekend!!! Revamping my system from scratch now that I see how you've set up a few things here - your way is MUCH cleaner than how I had my own game hierarchy set up! Hmm... yeah the layers might be the only issue. You will probably want to simply move the UI to a new layer ("UI" layer) once you add it in. Glad you like it! Ignore the grid lines, My goal was to procedureally generate each game and have each area have different environmental bonuses kind of like the board game Katan. I'm really busy with my two jobs, so hiring me is not an option at this point. It's a part of the reason I released this kit instead of making a game out of it. You can try reaching out to other developers in the contract work forum here, or on Unity forums -- you might have better luck. Group Games could use a tank game too but you have already said you can't work on it. I'm about ready to pull the trigger on purchasing this asset, but have a few questions. How are structures placed in the environment without having trees intersecting? 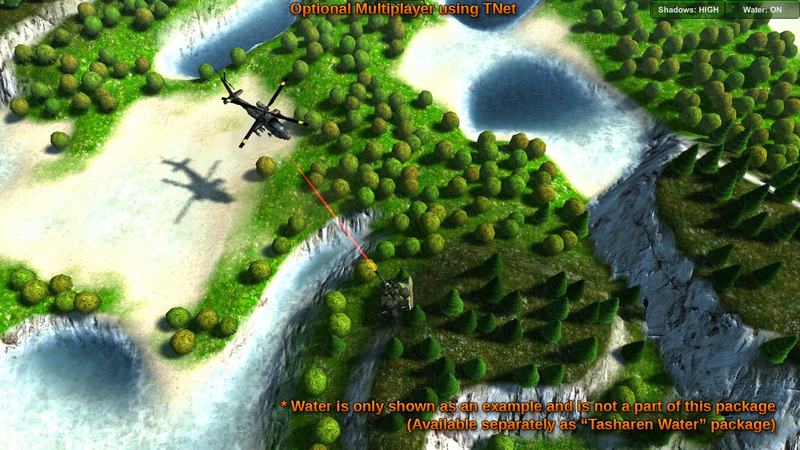 Once an environment is recreated for a level, will all settings remain as a user navigates between levels? What's the recommended maximum size of the environment for a mobile device? 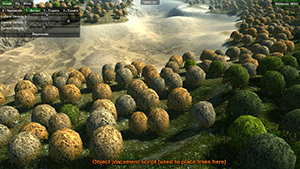 Tree placement script performs sphere casts into the ground using the layer mask of your choice. If there is something there, a tree won't be placed.